E A S T E R T O U R S ! We are open for cocoa estate tours this weekend! We will be attending the CHOCOA Chocolate Festival in Amsterdam, Netherlands 23rd & 24th February 2019. Visit our stand J6 and taste our award winning chocolates! We are happy to announce that on the 24th December 2018, Tobago Cocoa Estate received 100% ORGANIC CERTIFICATION! 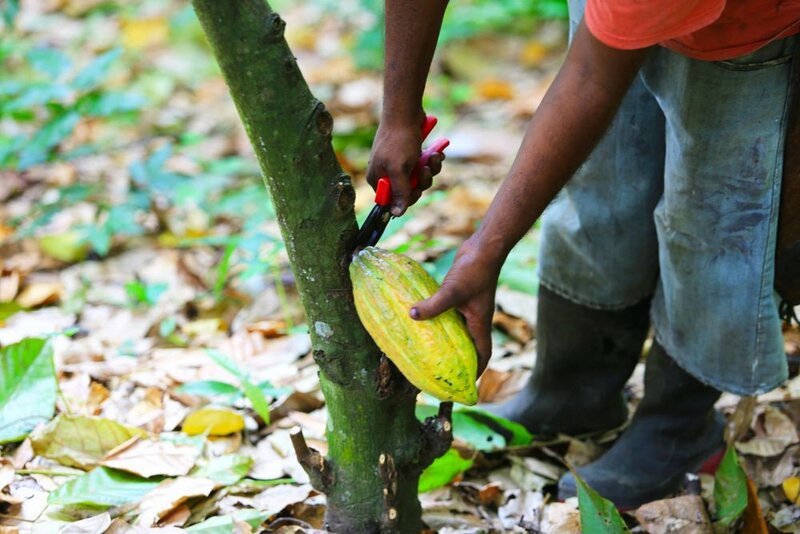 The first Cocoa Estate in the history of Trinidad and Tobago to be granted certification. Thankyou! Huge thank you too the international Chocolate Awards for recognising us in the recent World Chocolate competitions. We would also like to thank all our social media friends and customers for their continued support! Tobago Cocoa Estate featured in the current edition of Contact magazine buy Trinidad & Tobago Chamber of Industry and Commerce, follow the link below to read full article. I am thrilled that a Tobago based business has identified this unique opportunity and is reaping the benefits of our invaluable local agro processing and tourism product. 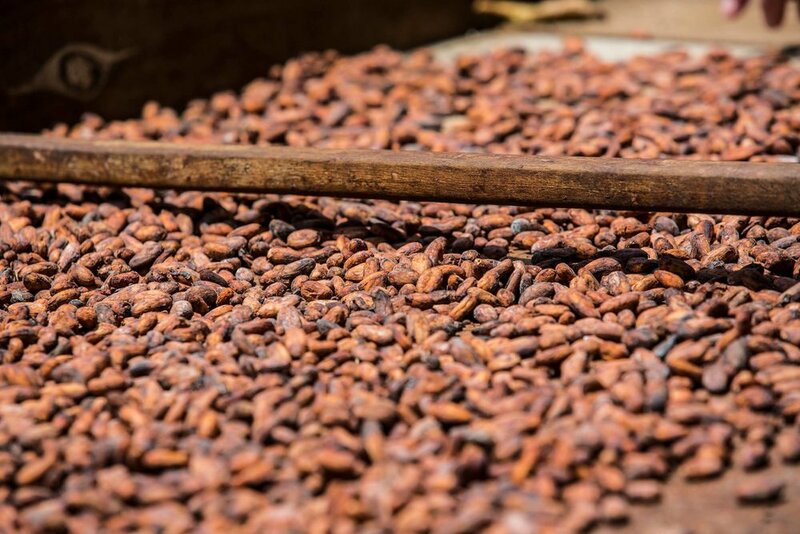 Rising world prices for fine flavour cocoa is attracting new investment to the sector, creating partnerships between entrepreneurs and knowledge to develop value added industries and agro-tourism opportunities. The industry holds much potential but it is up to each stakeholder to harvest it. Tobago Cocoa Estate W.I LTD is a cocoa estate planted exclusively with Trinitario cocoa (TSH) fine or flavour cocoa. Secondly, the Tobago Cocoa Estate W.I. Ltd is a heritage park where visitors can learn about the history of cocoa in Tobago, see historical displays and participate in the fermentation and drying activities at the estate. Finally, the visitor will experiences the agro-culinary approach to tourism and participate in a rum and chocolate tasting session after an evening of dinner that showcases the local cuisine of Tobago. TOBAGO is the sister isle of Trinidad. Tobago enjoys a warm tropical climate, average daytime temperature is 29 degrees C (83 f). The wet season is from June to December, the earlier months of the year are drier. Cocoa cultivation is concentrated in the valley areas of the Windward Districts. Trinidad and Tobago has been a parliamentary democracy since 1962 and is the Caribbean's strongest economy. In 1980 the Tobago House of Assembly was re-established, giving a significant degree of internal self-government to the smaller island. Tobago Cocoa Estate W.I. LTD was established 2005 by Tobagonian born Duane Dove. After several years living and working in Europe within the Food & Beverage Industry, Duane saw the need to rejuvenate the Cocoa Industry on the island. 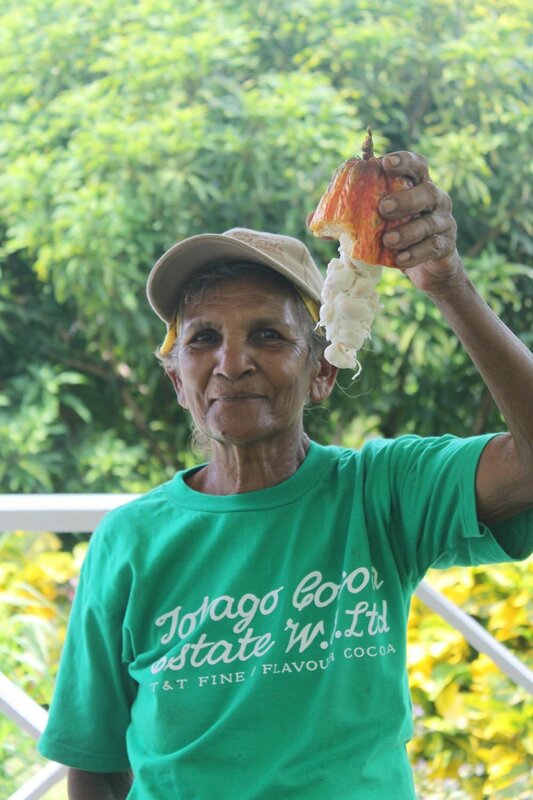 Tobago has in the past made significant contributions to Trinidad and Tobago's cocoa production and is one of the major crops still grown throughout Tobago. Our chocolates are available in 5g squares, 50g bars, 100g bars and 1000g couverture. All our products are made with artisan Chocolatier Francois Pralus. We will be resuming our cocoa estate tours from the 14th December 2018 on Fridays at 11:00 am. We strongly advise you to email us info@tobagococoa.com 72hrs prior to your visit for confirmation. Minimum numbers apply! Tobago, the sister isle of Trinidad, enjoys a warm tropical climate with an average day-time temperature of 29°C (83°F). Historically cocoa was one of the major crops grown throughout Tobago. The particularly fine flavor of its beans won the isle fame and allows many large plantations, such as the Roxborough Estate, to concentrate on the production of cocoa as a viable cash crop. However, cocoa production has declined since the 1970s in the wake of hurricanes and other factors. A decline exacerbated by the disappearing skills of artisan cocoa production as many "old-timers" are no longer capable to work the land. We reserve the right to cancel or reschedule tours up until the last minute due to weather, time flexibility for unforeseen circumstances and varying logistics. We encourage customers to call or email us to make a reservation latest 72 hours prior to your intended visit! During May to November we are only offering tours by appointment min. 10 persons groups of individuals. Send us your dates and we will contact you should a tour be scheduled.